Motown: Why did you apply to be a WALL Program Director? What are your goals/themes for the program this year? Squirrelly: I applied to be Program Director because I wanted to end my UniCamp career on a strong note. Being a PD for WALL seemed like the best way to go, since I did two sessions leading WALL last summer. This year, our goals and themes are to continue the cohesiveness of the group that defined being a Waller; it is a really special bond that you cannot get by staying at the campsite for the week. We are also experimenting with having two WALL groups go per session to accommodate more people applying to the program. Motown: What’s one of your favorite experiences in your program? Squirrelly: The bonding. There is a bond being in WALL that cannot be achieved in any other aspect of camp; it is the result of being such a small unit and making the hike together. I keep in contact with a lot of my Wallers from last season and it is something very important to me..
Motown: Why do you do camp? Squirrelly: The people. It is the relationships not only with the campers, but with other volunteers. Motown: Was there ever a moment on the WALL hike where you or one of your campers wanted to quit the hike? And if so, what made you/them continue on? Squirrelly: Definitely, I think the best way (to motivate them) to continue was to be positive and encourage them and help them keep the eye on the prize. Often I think these kid’s don’t receive the positive encouragement they need and hopefully I was able to provide at least some on the hike. Motown: I hear that you are currently pursuing your Masters of Social Welfare (MSW) at USC. Two Questions. First, how does it feel attending class at USC? Does your heard break a little bit each time you drive onto campus? Squirrelly: It is strange going to a different campus. Every time someone makes a small quip at UCLA, I mutter “Go Bruins”. Motown: Why did you decide to pursue an MSW? Squirrelly: I know that in large, part of the reason I decided to pursue a degree in social work is because of my experiences I had with camp, and solidified even more so through my experiences on WALL hikes. The world is a place where many people’s voices and needs are often unheard, and I hope that I can listen to them and help in at least the slightest way. Motown: Last question. It’s tradition for the WALL PD to give a speech to each WALL group before they leave on their hike. Can you give us a preview of something you plan on saying to the groups? 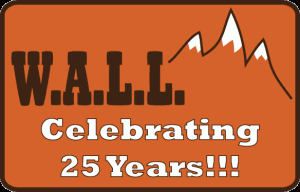 Squirrelly would also like to remind any and all Alumni that this year’s WALL group will be hosting a celebration for WALL’s 25th anniversary on Saturday June 2nd from 10am – 4pm. Motown: What years did you attend UCLA? 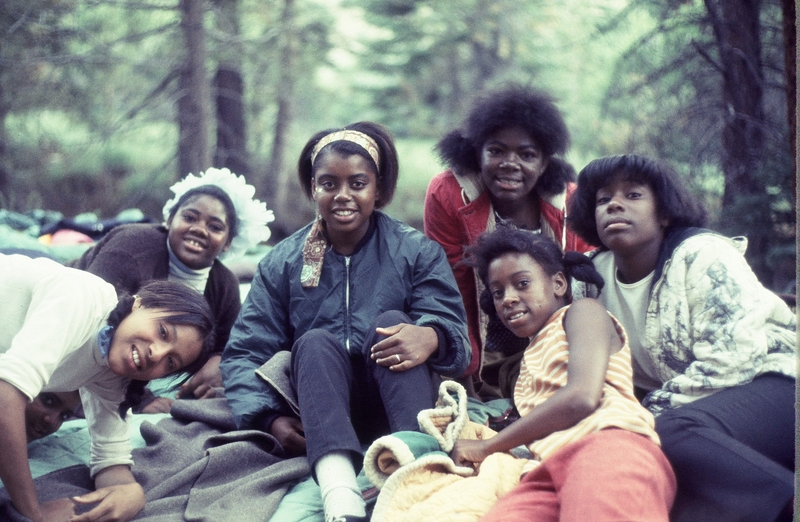 Motown: How many of those years did you do Unicamp? Bill: I did Unicamp in the summer of ‘67 and the summer of ‘68. I served on the student board in-between; we made decisions about when to have sessions and about running the camp. My particular responsibility was running the annual fundraiser, which was a large campus wide event to raise money for camp. Motown: Why did you want to do Unicamp? Bill: I was very busy in college, working and going to school. I was commuting and didn’t have a chance to really get into campus activities. I walked past a table of recruiters and I stopped and started talking to people at the table. They were very cool, accepting, and unaffected. I felt very welcomed and signed up! Motown: What were your positions in camp? Bill: I was in the session for blind kids at the lower site. I had never worked with blind people, but it went fine. They were a really good group of kids and very capable of taking care of themselves, I basically just didn’t let them get lost. The ones who could see a bit helped out. It was a remarkably easy experience. Some had some emotional issues and I talked with them. It was a very rewarding experience overall. I also did the older boys session that was coming up that same summer and I was head counselor assistant in that session. For the second summer I was a head counselor for older boys and I stayed on as a maintenance man and was up at camp during the winter. The year I was in maintenance, a forest ranger came and visited the campsites and talked to us. The ranger wrote us a letter acknowledging that we had kept our camp maintenance very high. The head of the URC framed it and put it in the dining hall. 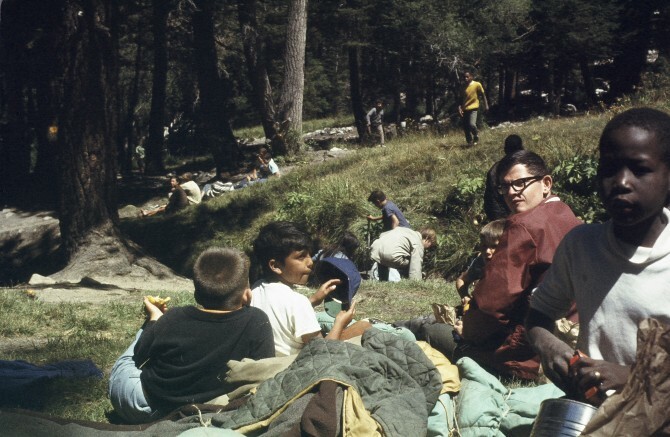 The Forest Service had a meeting later that year about clearing out the valley where we had lower site—at the lower site we had 125 kids and at the upper site we had 80— and we had people protesting and kids bussed in to give testimonials at the meeting. We then brought that letter to the meeting and they gave us a moratorium on being moved for more than decade. Motown: How was camp set up at that time? Bill: Camp was set up in A-Frame units, and they usually had cots outside. There were 10 A-frame units for kids arranged in a large semi-circle. In the center were the Biffys and the swimming pool. At the head of the circle was the main lodge with a dining hall, kitchen, and staff room. There was also a maintenance shed with a generator. By the stream was the pumping system where we pumped the water. Behind the dining hall was the dishwashing station with three sinks, where we would bleach the dishes to wash them- that’s not up to health code now. There were also separate sessions for younger, older, diabetic, blind children. Motown:What was your training experience like? Bill The training was pretty minimal. The HC would get in touch and interview to see that we were essentially normal. We would get together one day a week before the kids arrived and that was orientation. The more experienced counselors were there with novices. The HC and HCA had been up the summer before. The Head of the URC would also be up giving orientation. It was all very informal compared to how it is now. Motown: Why did you start the Breeze? Bill: The first summer I was at the first session as younger boys HCA. The HC was very low-key and every night we’d have a campfire. One HC’s job was to set up programs for the campfire: skits, songs, etc. On the second or third day of session, the HC was told by the head of the URC to bring energy to campfires because they were boring. I told the kids that I wanted anyone with an interesting story to tell me about it, and the kids would run up with stories. I would always write it down as much as I could, and I put it into a newsletter and would read it out in a newscaster voice- and the kids loved hearing their names and stories. I needed a name so I thought of “Biffy Breeze” because it was a central part of camp. The next winter, one of the things that we discussed was a way of retaining as many counselors from one summer to the next, and I thought of coming up with a monthly newsletter to keep people in touch. Every month I wrote a humorous newsletter that also covered upcoming events to keep people in touch. 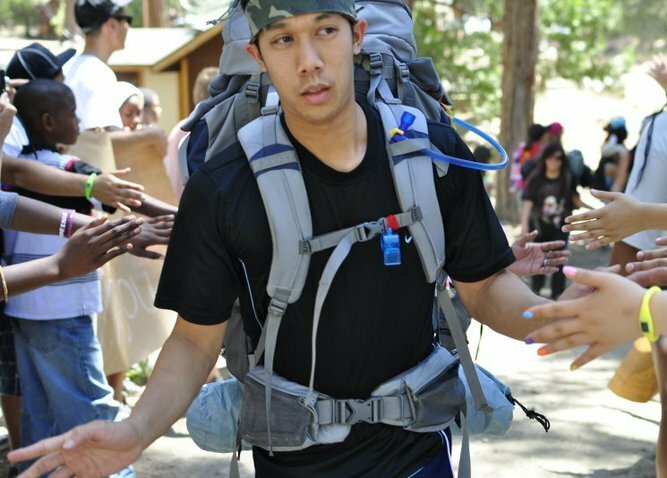 Motown: How did your camp experience influence your life after camp and after UCLA? Bill: Working with kids was so incredibly rewarding, and there is nothing better than that. It was my first chance to play a leadership role in an organization of that nature and I learned that I had leadership capabilities that I didn’t know about. I realized I could organize people and people listened to me, and that I could provide leadership in a meaningful and positive way. I still stay in touch with some people in Leadership. Unicamp was the most positive and meaningful thing I did with my collegiate career. Good thoughts from Bill. Camp gave many of us to discover and develope leadership skills. I remember Bill Lovallo. We worked together on maintenence at Lower Site and had many good times. He used to claim that my mother paid him to be my friend. I just know that wasn’t true. Hey, really like the blog, wordpress? Thank you!Yes, it is wordpress, but we are actually in the process of giving it a new design too! Thank you for signing up! We will definitely have more Alumni profiles, but, at the moment, we do not have any more planned articles for the beginnings of Biffy Breeze. I was a 16 year old High School student back then but Luke (Fishburn) allowed me to spend time at UniCamp with my older Brothers (Tom and Charles). I remember Bill and because of him I still celebrate Garibaldi’s Birthday, whenever I am clean. The beautiful comments from Andy and Mary Jane Cooper along with Tom, Charlie, and Jonh Caswell pretty much say it all. Camp was a central part of our lives then, and now. John is the only one who stil observes Garibaldi’s Birthday. Just wish I could spell.